At least eight Afghan children were killed today in Kapisa Province as the result of a NATO air strike against the Nejrab District. 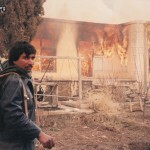 The attack was condemned by the Karzai government. NATO would only “confirm there has been a situation,” while promising to send a “joint NATO assessment team” to find out exactly what happened and how. So far the nationality of the warplane has not been identified. The details of the attack are not entirely clear. 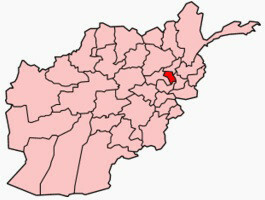 Kapisa Governor Mehrabuddin Safi said the strike hit the Giawa village, and other officials said there may have been a night raid in the area shortly before the strike. Karzai has deployed his own team to the district to investigate the killings, promising a “all-out probe” in a statement released earlier today. A number of MPs are part of the delegation being sent, and it is just one more in a long line of embarrassing incidents straining Afghan-NATO ties. Afghanistan, according to the Ministry for Mines, has untapped minerals worth over 3 trillion U.S. dollars.